Click the button below to add the GLOVES, JERSEY KNIT to your wish list. 7 oz. 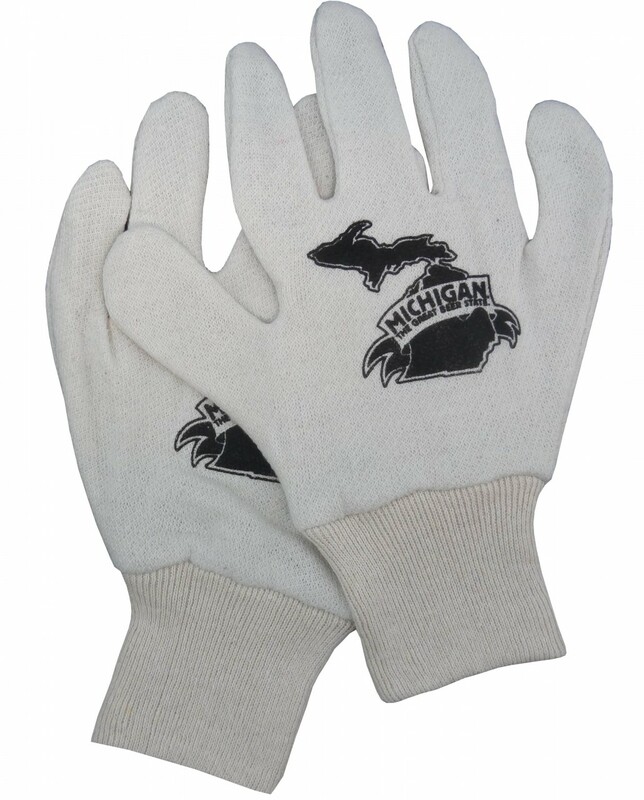 natural reversible jersey knit gloves. Michigan The Great Beer State logo on back of both gloves. One size fits most.